I'm a sucker for sweet and floral scents, there's no denying, which is one of the reasons why I love trying new perfumes. It's just that they're so expensive. 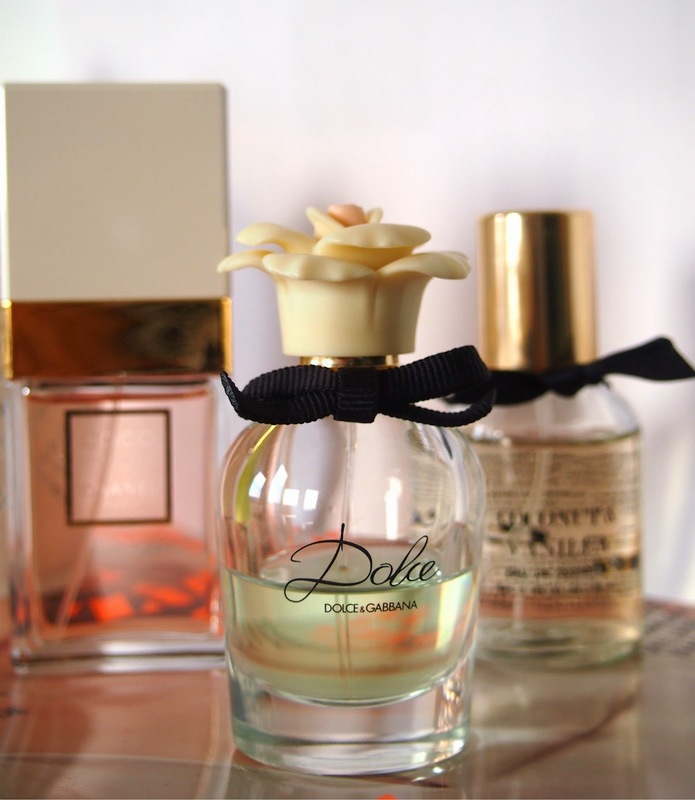 *Hi Mum* *puppy eyes* I like to dive into my mum's perfume collection sometimes (not literally) and that's how I discovered the 'Dolce' perfume by Dolce and Gabanna. 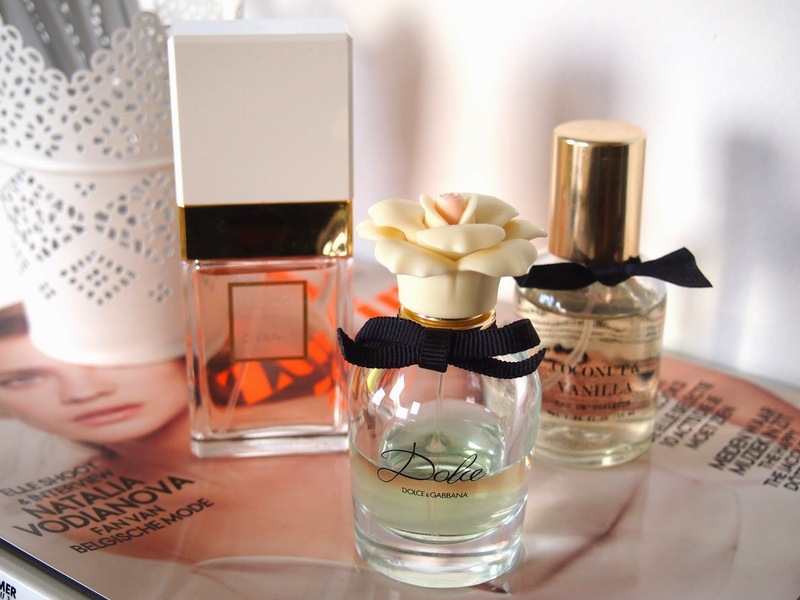 The package is so adorable and the scent is just so stunning. I'm not trying to sell this bottle or anything, nope, I'm just in love with it and if my mum would allow me to, I'd probably spray the whole bottle empty. It's like flowers, cupcakes and heaven in a bottle. The other perfume which you've already seen a million times before, is the Coconut and Vanilla scent by H&M. It reminds me of the Coconut shower gel I used to love when I was younger. The perfume makes me feel like I just came out of the shower, smelling all heavenly and coconut-like. Then there's my all-time favorite perfume by Chanel. 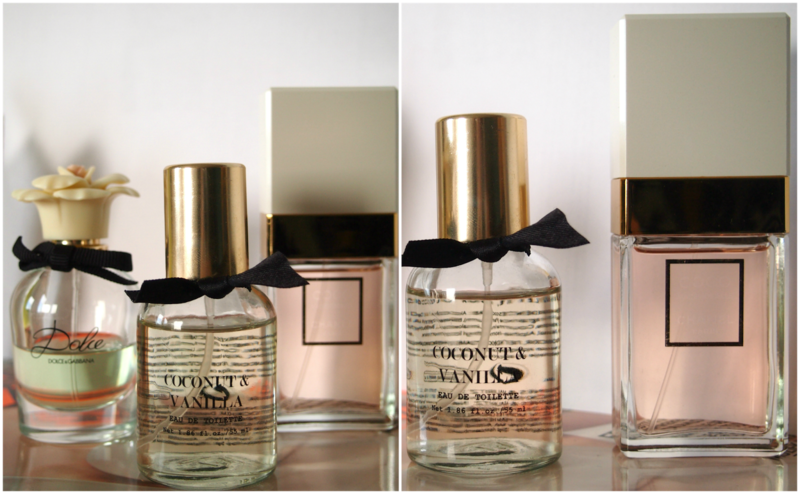 The Coco Mademoiselle perfume smells like Jasmine and roses, it's so sweet and feminine. You've just gotta love it. I think I've kept you busy reading long enough, but I hope you enjoyed this post! 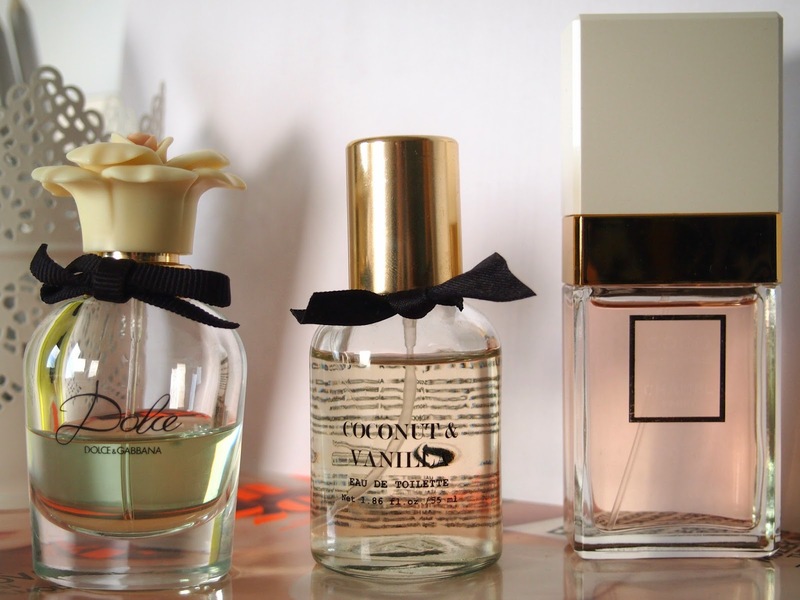 What's your favourite perfume?